PRIME SUBARU MANCHESTER IS A NH SUBARU DEALER LOCATED OFF RT. 293 IN MANCHESTER, NEW HAMPSHIRE. Make a trip to Prime Subaru Manchester for a New Subaru, Used Car or Auto Repair in Manchester, NH. We are located just 20 minutes from our Concord NH, Merrimack NH, Londonderry NH, Hookset and Bedford NH area Subaru customers. Why buy at Prime Subaru Manchester? The answer is easy. VALUE! Prime Subaru Manchester offers a $300 LOW PRICE GUARANTEE. When other dealers say "NO", we say "YES". In addition, if you can't come to us, we'll deliver your new car right to your doorstep, anywhere in New England, for FREE - even if you have a trade. NO STRESS. NO HASSLE. How's THAT for convenience! Our commitment to a quality customer experience is based on honesty and integrity and is earned one customer at a time. We think outside the box and will do everything in our power to make you happy behind the wheel of a new Subaru or pre-owned vehicle. Prime Subaru Manchester's robust Referral Program for friends and family is a testament to our ongoing repeat business, the lifeblood of our organization. Our owner is readily accessible to hear your feedback. If you are looking for a performance vehicle, Prime Subaru Manchester has it! We have low mileage, well-maintained used cars and pre-owned Subaru vehicles . Want a car loan with a low payment? How about a short-term loan that will have your vehicle paid off in just a few years? No credit? Bad credit? Come to Prime Subaru Manchester and speak to one of our financial experts. We'll create a car loan program tailored to your needs to ensure you can afford to drive away with one of our new or used Subaru vehicles. So for a car loan in Manchester, visit our NH Subaru dealership today and we'll discuss the best plan for you! Why Service Your Subaru at Prime Subaru Manchester? Prime Subaru Manchester also provides quality auto service and car repairs in Manchester and offers LONGER HOURS for the convenience of our customers - including Saturday and Sunday. With our Subaru Certified Technicians, if we can't find the problem, then no one can. We offer Monthly Service Specials and provide a service shuttle and loaner vehicles. Our Genuine Subaru Parts and Accessories Department is also open extended hours including Saturdays and Sundays for your convenience. 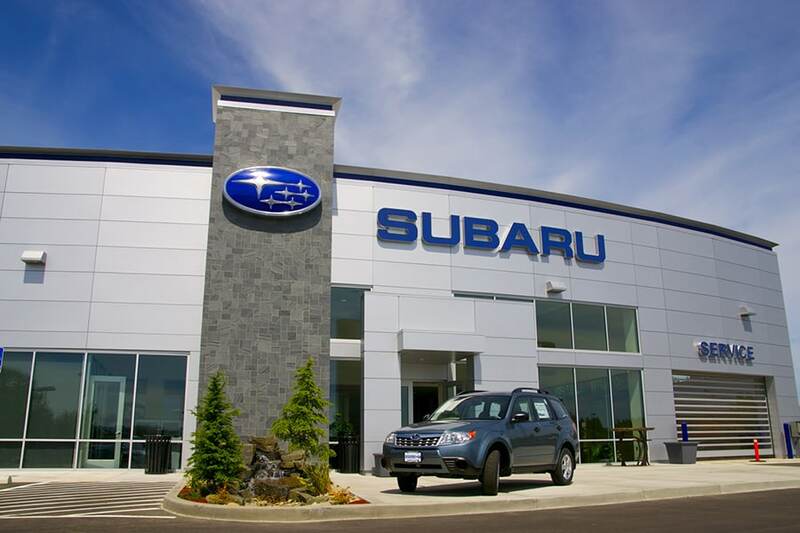 Prime Subaru Manchester's Service Customers find us conveniently located just forty-five minutes north of Boston on Route 3 in Manchester, New Hampshire and a short drive from Nashua, Merrimack NH, Londonderry NH and Bedford NH. Quite simply - because we live in New England. Powered by a powerful Subaru Boxer Engine, Symmetrical All-Wheel Drive and industry leading safety features, Subaru is the "Official" car of snow-belt states like New England. Interested in how Subaru vehicles work? Come to Prime Subaru Manchester near Nashua, Merrimack NH, Londonderry NH and Bedford NH at 764 Second Street in Manchester, NH and our Certified Subaru Experts will show you. For a dealership you can trust, check out the history of Prime Motor Group. Simply CALL YOUR ORDER IN - WE DELIVER.